If I’ve learned anything from the past 8 bikes (and especially the 690 Enduro) there is no such thing as a do it all bike. Even if there was, I would probably eventually find some stupid reason to change the bike anyway. I’ll admit that getting rid of the 690 E was not a smart move. Getting a cruiser even less so, eventhough the Yamaha Bolt was a great bike. The 250 Rally can’t really compete with the 690, but having tested the 250L, I believe that the Rally will be a good fit for my needs. I yet again considered the Honda NC 700/750X, CB500X and the 250L. The 500X would have probably been the smartest choice of the Hondas, but the looks of the Rally won me over. The other new small adventurers did’t really do it for me. Well, the WR250R did, but the price was too much. Also the Honda warranty (5 years) made me wan’t to go red.  I think there is a lot going for the Rally especially considering the competition in 250-300cc range. I’m trying to be objective here and still think that the Rally is lightyears ahead of the in class competition. Hell, it looks good even standing next to an Africa Twin. Honda is giving it’s bikes the longest warranty by a considerable margin. The Rally is sort of high, but much less so than the 690 E. Mostly because once you get on the bike, the suspension compresses quite a bit compared to the 690 E for example. Meaning knee and hip angle and forward lean. All of these should be acceptable, eventhough I suspect rising the bars will be in order. The Rally is not particularly light and in this regard the L (or WR) would have been a better choice, but it can still be considered light comapred to BMW, Suzuki and Kawasaki. While the WR is the “best in class” the power delivery of the Honda suits my skills better as the Honda has the better low end. That said, there isn’t mountains of it available. The fatter bikes have the Rally beat as far as range, but the Rally has a slight improvement over the Traditional enduro style bikes like the L and WR. Ok, but still underwhelming. The suspension is not very good, no denying that. Then again the comfy softness works well on those easy going back road adventures AND I think Kawi, BMW and Suzuki are much worse. In theory there is wind protecttion, but it remains to be seen if it’s any good. I’ve learned that a badly designed screen is much worse than no screen at all. While the power has improved some, from previous year (250L) it’s still a 250 and lot a class leading 250 at that. Quite the opposite. I ilke that there is some protection over the engine, but a closer look reveals that bits will most likely start falling off pretty fast if those plastics get in contactt with anything remotely hard. There seems to be practically none by Honda and the situation is pretty much the same with other aftemarket parts supliers. Sure, some 250L stuff will fit, but stuff like bash plates and such designed for the Rally there aint. I suspect “monkey but” will be inevitable with the stock seat. In this respect, the obese 3 will no doubt be better. I think the Rally is a bit overpriced. Only the WR is more expensive in this class. You are paying a lot for fragile pieces of plastic placed on top of a 250L. Sure, led blinkers and all, but really… too much.